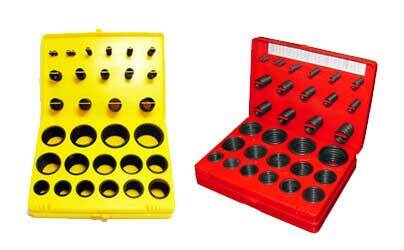 ISG 'O'ring kit boxes represent excellent value for money in terms of quantity, quality and convenience for maintenance engineers. They contain 'metric' 'Inch' ' size' of orings & corder popularly nown as 'splicing kit'. we also custom assemble sets of orings, cords for refurbishment of specific equipment and custom brand them for you.